Patti Smith is many things; songwriter, poet, visual artist and now author with her new book "Just Kids" published by ECCO in January 2010. 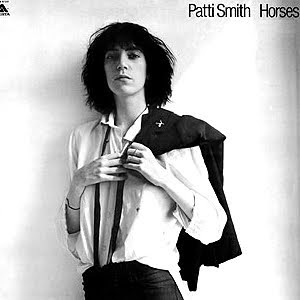 Her first album, Horses, was released in 1975 and led the way to many more punk rock albums and eventual induction to the Rock and Roll Hall of Fame in 2007. Her book, though, is not the tale of her musical career, but of an important relationship early in her life. The book "Just Kids" tells of her relationship with photographer Robert Mapplethorpe, whom Patti met soon after moving to New York in 1967. They were two of a kind, aspiring artists who influenced and pushed each other. The book is a tribute to their unique relationship and something she promised Robert she'd write, the day before he died. Robert died in a hospital in Massachusetts from complications from AIDS March 9, 1989. It took her 20 years to do, but Patti Smith fulfilled her promise to her friend. Patti writes about the moment of his death in her book, "the phone rang and I rose to answer. It was Robert's youngest brother Edward. He told me that he had given Robert one last kiss for me, as he had promised. I stood motionless, frozen, then slowly, as in a dream returned to my chair. At that moment Tosca began the great aria Vissi D'arte 'I have lived for love, I have lived for art'. I closed my eyes and folded my hands. Providence determined how I would say goodbye." How symbolic and poignant to have such a great aria like Vissi D'arte not only as a theme to their relationship but playing as she heard of his death as well. While the book tells the tale of their time together, she wrote a song that was a memorial to him and his death. Robert had green eyes, so she used a little emerald bird as the symbol of him. Unfortunately I couldn't find a recording of this song besides the beginning sung in an interview on NPR's morning edition. To hear a snippet of Patti singing a phrase in the studio, checkout this link, then click on listen to the story. The song is at marker 5:57 of the interview.